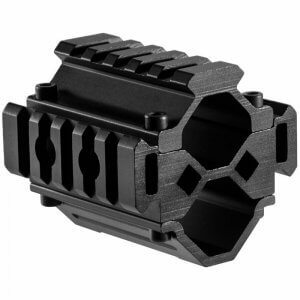 The 6.75 inch KeyMod Handguard by Barska is a free floating handguard that utilizes the KeyMod accessory attachment system for increased weight savings, modularity, and ergonomics. 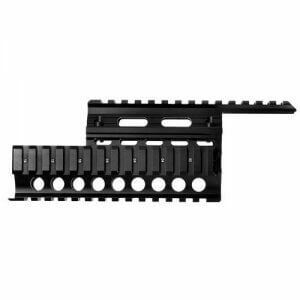 These KeyMod slots provide almost limitless combination of mounting points without the extra weight associated with similarly sized Picatinny rails. 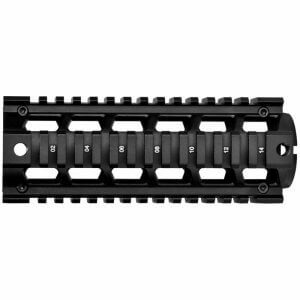 The KeyMod Slots are located at the 3, 6, and 9 o'clock positions, and the Picatinny top rail has been designed to fit seamlessly with a mil-spec upper receiver. 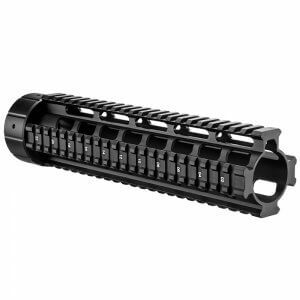 This KeyMod Handguard is ideal for use with low-profile gas blocks on carbine-length gas systems. 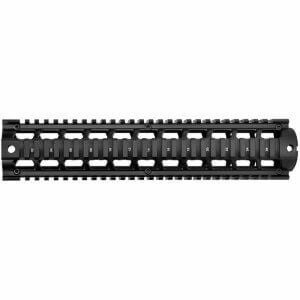 Experience the lightweight versatility of the 6.75 inch AR-15 Handguard with Integrated KeyMod Mounting System from Barska. 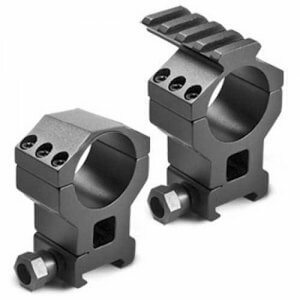 The KeyMod system is a recoil resistant method for securing a wide range of accessories to your rifle's handguard. 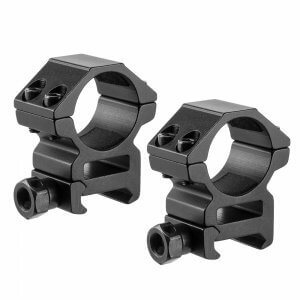 This battle-proven method of attachment helps reduce overall weight and improve ergonomics with a slim, comfortable design. 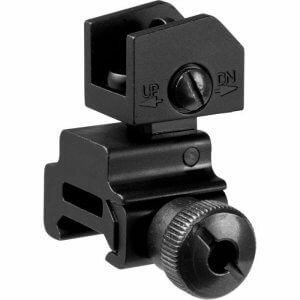 The construction also features vent-holes and air ducts to allow proper cooling of your firearm. 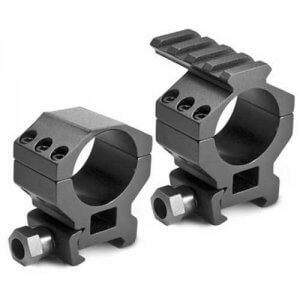 Mount Picatinny rail sections (sold separately) onto the handguard to attach accessories such as bipods, grips, lasers, flashlights, and much more. 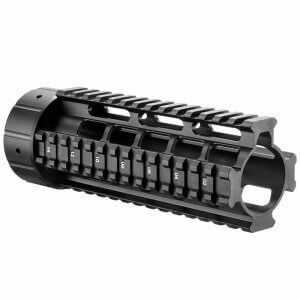 This 6.75 inch AR-15 KeyMod Handguard is made from lightweight T6 Aluminum and features a black hard coat anodized finish. 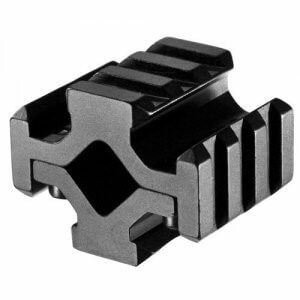 Low-profile gas blocks on carbine, mid, or rifle-length gas systems.